Update on Legislation impacting Oil and Gas Pipeline (coming soon). Communities who have passed resolutions against the pipeline: Buda, Kyle, San Marcos, Wimberley, Woodcreek, Hays County, Gillespie County, Hays Trinity Groundwater Conservation District, Hill Country Underground Water Conservation District. Scroll to the bottom of this page for the latest news updates regarding the pipeline. In September, Kinder Morgan Texas Pipeline LLC and partners announced a new pipeline project that will connect the natural gas production of the Permian Basin to the Gulf Coast. The $2 billion project will create a 42-inch pipeline that travels 430 miles across the state, including through the heart of the Texas Hill Country. The Permian Highway Pipeline would include the purchase from landowners of a 50-foot easement, plus an additional 25-50 feet of work easements, that would preclude certain activities (e.g. building and planting long-rooted trees). Projected to start construction in Fall 2019, Kinder Morgan has already started to contact landowners. The proposed route would cross multiple Hill Country counties, including Kimble, Gillespie, Blanco, and Hays Counties. Since the announcement, landowners have started to gather across the Hill Country to express their concerns about the project, including potential adverse impacts to surface and groundwater quality, decreased real estate and agricultural values, spread of oak wilt, and public safety risks. Wimberley Valley Watershed Association (WVWA) has created website pages specific to the pipeline, where they are tracking planned community meetings and Kinder Morgan sponsored open houses, have a petition to get the pipeline routed away from the Hill Country, and video from a February town hall that took place in Wimberley. Landowners that are being contacted by Kinder Morgan should know their rights, understand the condemnation process, and have access to resources to inform their decision-making. Knowing the cultural and natural resources that may be impacted by the proposed pipeline route can help landowners in their easement negotiations. Lawyers experienced with the eminent domain process encourage impacted landowners to talk with their neighbors, share information, and negotiate together, rather than be isolated through this process. Agencies that will review the proposed pipeline project include state entities (e.g. Texas Railroad Commission, Texas Commission on Environmental Quality, Texas General Land Office, Texas Historical Commission) and federal entities (e.g. U.S. Fish and Wildlife Service and Army Corps of Engineers). Although not exhaustive, we have included some key resources in the following section. Multiple organizations are mobilizing to oppose or mitigate the impacts of the pipeline project. 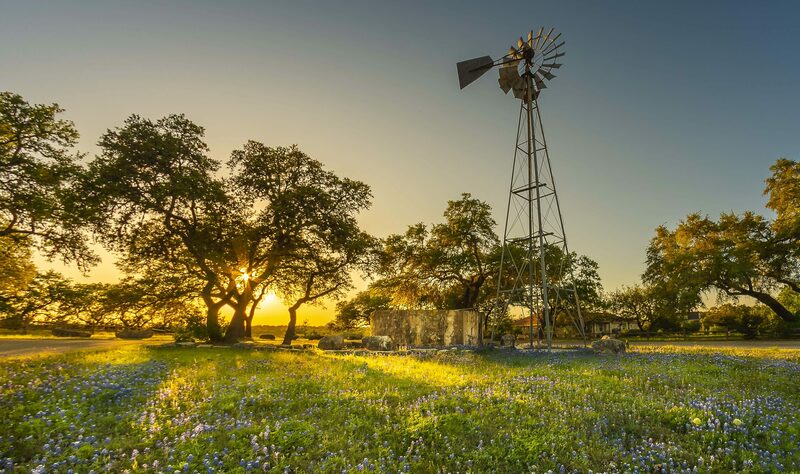 In Gillespie County, for example, a grassroots effort of concerned landowners, Save our Hill Country Heritage 1846, has organized to preserve the historical, cultural, and ecological heritage of the region. To learn more about this grassroots effort, e-mail saveourhillcountryheritage1846@gmail.com. TXSB553Engross Relating to the acquisition of certain real property in conjunction with the acquisition of real property for a public use through eminent domain procedures. TXSB421Intro Relating to the acquisition of real property by an entity with eminent domain authority. TXHB3939Intro Relating to the exercise of the power of eminent domain by a common carrier pipeline. TXSB2276Intro Relating to the issuance of a permit by the Railroad Commission of Texas for the routing of certain oil or gas pipelines; establishing a fee. TXHB4001Intro Relating to the issuance of a permit by the Public Utility Commission of Texas for the routing of certain oil or gas pipelines; authorizing administrative penalties. TXHB3326Intro Relating to the authority of a municipality to require that an intrastate pipeline be buried to a certain depth. TXHB3327Intro Relating to the acquisition of real property for a proposed oil and gas pipeline through eminent domain by a common carrier. TXHB3479 Intro Relating to cleanliness standards for pipelines crossing karst topographic areas. TXHB3480Intro Relating to the disclosure of the composition of fluids and materials transported by pipelines regulated by the Railroad Commission of Texas. TXHB2277Intro Relating to requirements for the construction of a natural gas pipeline. TXHB991Intro Relating to the acquisition of real property by an entity with eminent domain authority.